Stem Cell and/or PRP injections have become an increasingly popular choice for some individuals who are electing not to have surgery. Over the years we have discovered that receiving the injection is only the beginning to your road to recovery. There is a lot that starts to happen once you have received the injection and that is where specialized Physical Therapy plays a significant role in your recovery process. Dr. Matthew Candau of Performance Physical Therapy of Idaho has rehabilitated over a thousand patients having had Stem Cell and/or PRP injections and has aided in the development of specialized rehabilitation protocols for each injury being treated. 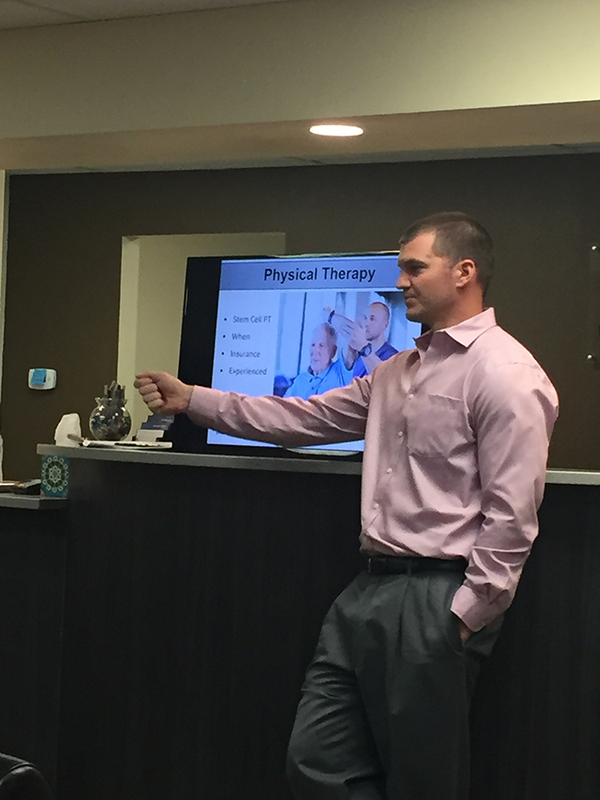 Due to Dr. Candau’s extensive experience and expertise in this field, he is regularly invited to appear as a guest speaker at Stem Cell seminars in and around the Treasure Valley to talk about the rehabilitation process after receiving an injection. Our Stem Cell Rehabilitation Program will guide you through the process and we will work closely with your doctor to ensure that you get the best outcome possible. If you have recently had an injection and are wondering what you are supposed to do next, please give us a call and we will be happy to guide you through the process. For more information about what you can expect or to find out if Stem Cell Therapy is right for you, please feel free to Contact us at any time. CALL (208) 462-0808 TO INQUIRE ABOUT ANY QUESTIONS.